Momonga was the guild leader of one of the most prestigious guilds in a famous VRMMO (virtual reality massively multiplayer RPG), but over time he and his guildmates got too busy and ceased playing. Now the VRMMO they all played is being shut down, so he logs in the game one last time to have a moment of nostalgia before the world disappears forever. However, when the time for the servers to shut down passes and he isn’t logged out, Momonga realizes that he is trapped in his lich avatar in his guild, The Tomb of Nazarick, unable to log out. What’s more, the NPCs he and his guildmates created have come to life, and the world outside the guild base is no longer the world of the VRMMO but instead a new fantasy world. Momonga decides to become famous in order to find other players of the original VRMMO, and sets out with his servants to do just that. I’ve taken to reviewing the big ‘trapped in a video game’ anime in recent times, and if there’s one thing that can be said for Overlord, it’s that it most definitely stands on its own. While other series have dropped players into the world of the game or at least a world that on the surface is almost identical, Overlord doesn’t actually drop Momonga into the game he remembers playing at all: instead, he and all the NPCs (non-player characters) in his old guild’s base find themselves in a new world completely different from the game. However, Momonga is able to use all the abilities and items from the old game, and thus he has a vast amount of power and can easily overcome regular enemies in the new world. Instead of playing with other real players, as far as he knows he is completely alone, and thus sets out to become legendary in the new world. A specific point of Overlord’s uniqueness, the actual cast, is interesting enough to merit its own section. Overlord’s cast is primarily comprised of the NPCs that were created by Momonga and his guildmates, and they inherited personalities based on the old in-game descriptions. Interestingly enough, Momonga’s guild was hardly one of holy warriors that you would typically imagine a protagonist to be a member of but instead seems significantly darker. This makes things interesting because Momonga’s assistants range from vampires and demons to humanoid insects, each with a personality that doesn’t entirely fit what you might imagine would be stereotypical for such creatures since they are on the side of the clear protagonist. There is one key thing all these creatures have in common: unflinching loyalty to their master. How they display this loyalty along with their interactions with humans and each other makes an interesting concept for a story. Momonga himself is a lich, which is essentially an undead lord. In this sense, the protagonist of the series is technically what 90% would be a completely evil antagonist if not a downright monster. However, Momonga was obviously just a human playing a game before. Although being a lich suppresses some of his human emotions, he is still very much a human on the inside. The story never really goes for the ‘but which side of myself am I, truly?’ kind of development, and instead focuses on Momonga’s self-pressure to perform to the expectations of his supremely loyal followers as well as his search for signs of other humans from the VRMMO he originally played. While there is definitely a serious element to Momonga’s self-motivation, the difference between his actions and thoughts can often create amusing moments as well, and the mixture of the two sides results in a very compelling character for the audience to follow. Much as the world Momonga and his followers find themselves in is unfamiliar outside of their guild base, Momonga’s guild Nazarick is unfamiliar to the new world. Despite technically being a lich, Momonga decides to operate in disguise and build his notoriety in order to search for other people from Earth. As a result, he engages in a variety of tasks, from assisting other adventurers to saving towns, in order to rise the ranks of adventurers. Along the way he meets quite a few native denizens to round out the cast, and through this narrative a very interesting and complex fantasy world is explored. 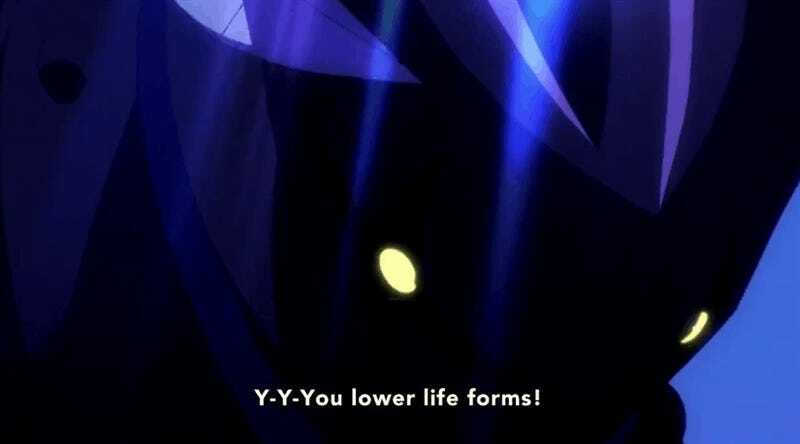 I particularly enjoyed how Momonga and his servants were extremely overpowered from abilities they had gained in the old game because it was fascinating to see the frailty of the natives as both those in support of and against Momonga have a much easier time dying than the members of Nazarick. Over the course of Overlord, I was hit by how substantially difficult it would be to fully explore the world to its full potential. There is much hinted at in terms of epicness and depth, but unfortunately the anime’s story moves quite slowly. 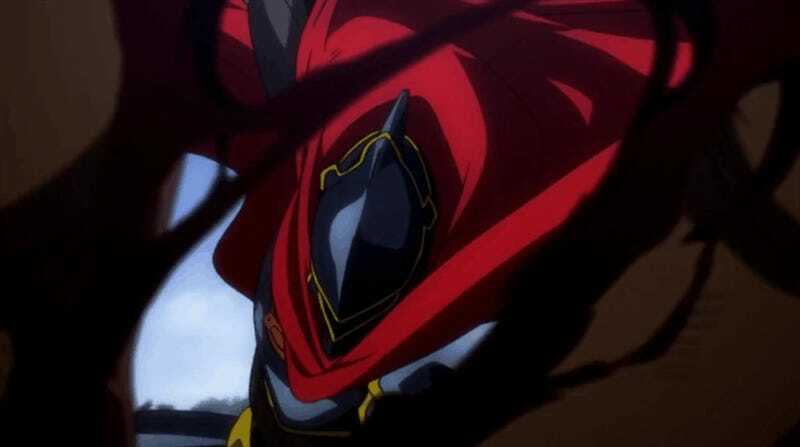 The fact that in such a small amount of time and in such a minute amount of conflict we are still able to see enormous complexity, from the politics of the kingdoms to the intricacies of the magic and abilities the members of Nazarick yield, is quite impressive. That being said, it is important to point out that the pacing is, like the similarly-styled series Log Horizon, quite slow. Monologue is far favored over action frequently. The first two episodes alone don’t even really have Momonga leaving his guild base. If you’re looking for something fast-moving, you might want to reconsider your expectations before watching. Unfortunately, the slow pacing would be offset a bit if Overlord was a long show, but it’s not. It’s only 13 episodes, and the odds of a sequel from the studio in charge, Madhouse, is very unlikely considering that they haven’t made a sequel anime in quite a few years. The ending isn’t completely atrocious in that it serves as a decent episode, but it doesn’t actually conclude or end much at all, and thus it leaves much of the intriguing world as well as quite a few plot points to dangle forever, never to be solved. If you want the full story, the only way you are likely going to get it is through the light novels. 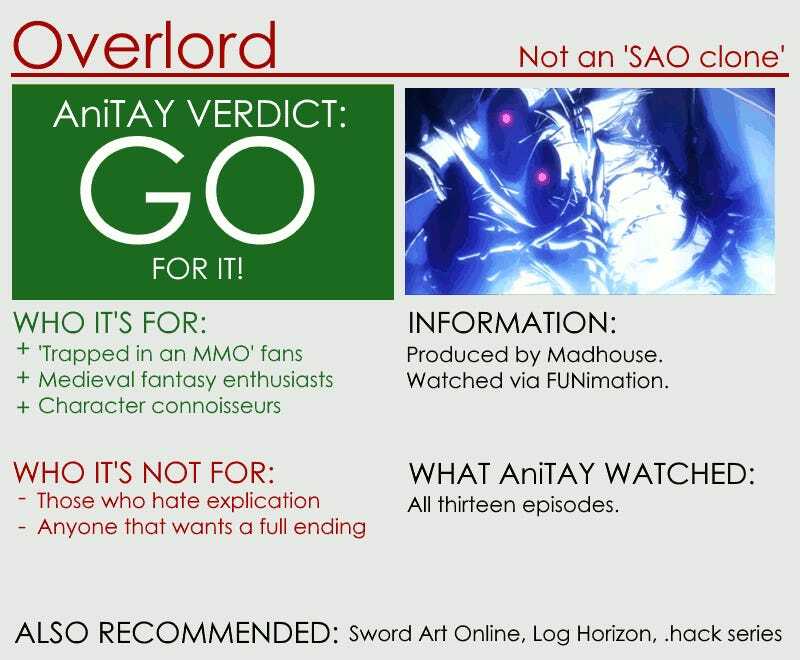 Overlord is an excellent addition to the ever-widening field of anime that have characters ‘stuck in an MMORPG’. The series stuck out to me throughout its airtime because of its unique take on this sub-genre, from the fact that the world isn’t actually from the same game to the interesting and irregular characters that comprise the primary cast. I wouldn’t call this one flawless by any means as it is plagued by a slow pace and a lack of time to substantiate some of its best qualities, but I still whole-heartedly recommend the series to anyone that likes the sound of the premise. 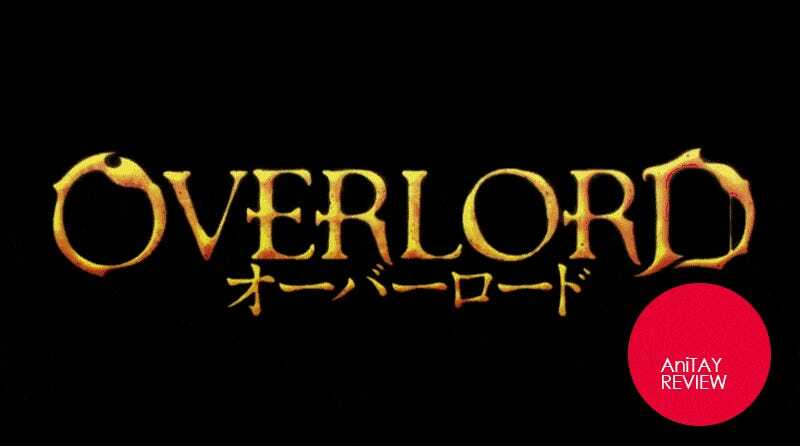 Overlord aired during the Summer 2015 anime season and was produced by the studio Madhouse as a single-cour adaptation of the light novel series penned Kugane Maruyama. The light novel releases are still ongoing and the books have been licensed for future release in English by Yen Press. Overlord is available for free and legal streaming on FUNimation. A ultra big-time thanks to Tim C. (Unimplied) for his gif skillz, he can make my gifs actually do cool things with the review button.